At about 3:30 a.m., Paso Robles police notified sheriff’s officials that a 22-year-old Orcutt resident made statements on Facebook suggesting he wanted to shoot up a school in Santa Maria. 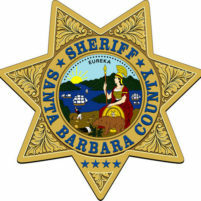 He did not specify which school, according to the Santa Barbara County Sheriff’s Office. Deputies arrived at the suspect’s home and conducted an investigation. Investigators determined the man did not have access to firearms. Mental health experts conducted an in-field assessment on the man, and he was then transported to a local hospital for follow-up care. Sheriff’s officials say there was never a direct threat posed to Santa Maria schools. But, deputies notified school officials and the Santa Maria Police Department about the social media threat. An investigation is ongoing, and the sheriff’s office plans to forward its findings in the case to the Santa Barbara County District Attorney’s Office. The sheriff’s office is commending the individual who initially reported the threat to law enforcement after noticing it on Facebook. Sheriff’s officials say, when potential threats are reported quickly to law enforcement, authorities can quickly determine if a threat actually exists and ensure people with mental health issues get assistance. After we ‘help’ him, shouldn’t he go to jail? so glad that all the departments look out for one another. Glad the man is getting the help he needs.